Posted on December 7, 2017 by Elina T.
The Da Vinci Code by Dan Brown is a thrilling mystery that follows a professor of symbology at Harvard University named Robert Langdon. While traversing the roads of Paris, Robert and his companions stumble across mysteries and codes to crack. To add to the mayhem, they’ve got the French Central Directorate of the Judicial Police and later on, the British police to worry about. Jacques Sauniere, renowned curator of Le Musée du Louvre in Paris, has been murdered by a Catholic monk named Silas, and the Direction Cnetrale de la Police Judiciaire (France’s detective and security service) has discovered something highly unusual about his body. There is a symbol written across his chest and his body is positioned in a peculiar manner which mimics Leonardo Da Vinci’s Vitruvian Man. They also find that Sauniere has left a cryptic message on the museum floor around him. Robert Langdon, who is in France on business, is called in by Bezu Fache, a DCPJ captain, on the pretense of helping to interpret the strange symbols and aspects of the crime scene. Langdon explains to Fache that the pentacle written on Sauniere’s chest must be an allusion to goddess worship, as Sauniere was well-versed in this subject. Shortly after, Langdon is made aware that he is Fache’s prime suspect for the case. Sophie Neveu, a police cryptographer, is the one who secretly tells him this, and helps him to escape the Louvre. It turns out that Sophie has her own motivations and, with the help of Langdon, begins decoding the message the curator left. This book has been on my reading list for a while now, and I’m so glad I finally came about to reading it. I found it very fascinating as much of it pertained to actual religious groups like the Priori of Sion and Opus Dei. I don’t really know much about groups like these, so it was interesting to hear about them and their beliefs. I also really enjoyed the codes and how they were broken. Throughout the book, Langdon explains certain meanings behind symbols, and I found that particularly intriguing. Much of the book focuses on goddess worship and feminine versus masculine roles. Today, this is a very sensitive subject, but it’s interesting to see how male and female roles have evolved throughout history. This book is full of twists and turns, and is definitely something I would consider re-reading. The artwork and religious groups discussed in this book are accurate, so I actually ended up going back and looking at some of the paintings that were brought up. I was surprised to notice things that hadn’t previously come to my attention. I would definitely recommend this book–it’s an absolutely riveting read. 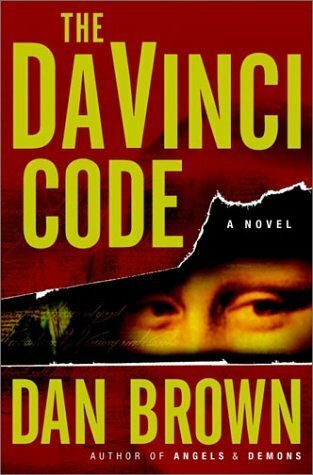 The Da Vinci Code by Dan Brown is available for checkout from the Mission Viejo Library. It is also available for download from Overdrive. This entry was posted in Book Reviews and tagged Cryptology, dan brown, Holy Grail, Leonardo Da Vinci, Opus Dei, Priori of Sion, religion, Symbology, Vatican by Elina T.. Bookmark the permalink.